And stand out from the rest of the pack. No matter how confident you are you're right for the job, mucking up the interview process could see you catapulting back to Seek in no time. Which is a bummer, because finding your dream job can be hard enough at the best of times, and to be granted an interview is to say you're in with an actual chance of landing it. 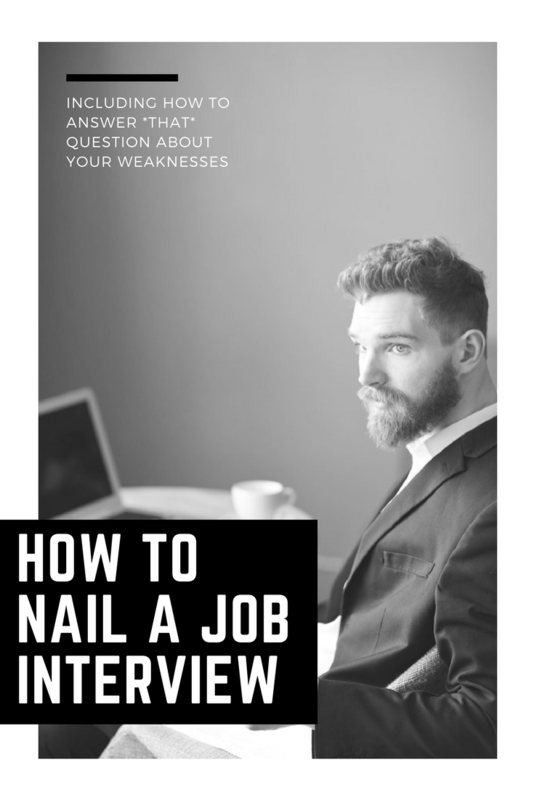 So how do you ensure you nail your interview and walk away with the gig? HuffPost Australia spoke to people leadership expert Karen Gately to find out. "I think they are actually incredibly important, because as human beings our brains are wired to determine what is good or what is bad, to put it that simply, in the first instance," Gately said. "Everything about us is wired to make judgment calls in a very short period of time." Meaning how you look, talk and behave is all going to factor into whether or not you succeed, and it starts from the word go. "You need to think about the audience and what sort of organisation you are going to," Gately said. "It's important to have appreciation for their cultural environment and what the acceptable standard of dress is for them. Find out as much as you can, and do what you can to match it. "But really, at the absolute minimum, if you are going to a family function or a function where there will be people you have a lot of respect for, you wouldn't arrive like a slob. It's a good rule of thumb to abide by." And as for individual flair? "It's important you are yourself, but at the same time you don't want to present in a way that is confronting or alienating to other people," Gately said. "For instance I have purple in my hair and I have a nose ring, and I work with CEOs all the time and have never had an issue. Be you, but don't be offensive or confronting, or you will find out very quickly that you will have started on the wrong foot." "Always arrive 10 minutes before your interview, because it says, 'I'm here, I'm ready to go when you are. I have planned to be here on time and have allowed room for error," Gately said. "In saying that, there is a thing as being too early. You don't want to be there for so long they feel they have to entertain you. "Or often people will schedule candidates back to back and don't want you popping past in reception when they are seeing someone else." What do I do if I'm running late? Of course, despite our best intentions, sometimes life can get in the way and muck up our plans regardless. Gately's advice? "You phone, you don't text, as a starting point," she said. "A candidate did to my client last week. I was like really!? "Look, everyone should understand that life does happen, but you need to get onto the employer as soon as you possibly can, explain the situation and try your best to give them an accurate estimate of when you will be able to get there. "I know all of this sounds like a no brainer but you would be surprised." Running late? Be sure to call and let them know. What should I say when I'm asked about my weaknesses? "My first bit of advice is don't say 'I'm a perfectionist'. It annoys just about everybody who interviews people," Gately said. "The reason [potential employers] ask that question is because it's about being able to demonstrate accurate self awareness and an ongoing commitment to learning. "So I would respond to that something along the lines of: 'well there are many things professionally and personally I'd like to concentrate on in my life, but the things I'd like to most focus on at this point are...' and then actually give them some honest insights. "You don't have to give them 'War and Peace' but you do have to give them something honest." What do I do if a question is inappropriate? "Okay, so that is a judgment call. If they ask you a question that is unlawful -- and the classic example of this is asking when are you planning on having kids -- then in my own circumstances I would choose to walk away from a job opportunity than work for an employer willing to discriminate against me. But that's just me," Gately said. "Of course, there are different circumstances. For instances sometimes people can just ask really dumb questions and it's ignorance as opposed to trying to be discriminatory. "Use your own judgment to decide whether you think they are a well-intentioned, good human being, but if you believe they aren't, I would say you are within your rights to call them out. "Now if they are an ignorant person, the chances are, by doing that, you're not going to get that job, but you wouldn't want the job anyway, in my opinion." If you think there are likely to be lots of candidates vying for the same role, you might want to think of ways you can stand out. But Gately warns it really isn't a one-size-fits-all kind of policy, and you will need to do your homework beforehand. "Again it starts with understanding the organisation," she told HuffPost Australia. "What may be well received from one business, so let's say a fun-loving innovative business run by tech entrepreneurs -- that's a big stereotype but you know what I mean -- might think a gimmick or something is funny, funky and intelligent. Want to get noticed? Do your preparation. "So if you are going for a marketing role and come up with a creative way of getting on their radar, that can be seen as an asset. But equally, it could be seen as pushy or arrogant. "I won't lie, there is risk in it. Personally I think the best way to stand out is more about making attempts to make contact, which can be difficult. "Is there a way to get a soft introduction? Are you able to phone their office and be better prepared in the interview?" Can you ever be too prepared? According to Gately, the answer is no. But you can be too scripted. "You can't be too prepared, but you can be too rehearsed. It's one thing understanding the company and the role but if you are going to end up sounding like a robot, maybe put the books down and go with the flow a little bit." Is it OK to follow up on a job interview? Not only is it okay, it's encouraged. "You should definitely follow up and you will get varying degrees of quality feedback," Gately said. "If you are still going through the process, you can ask for feedback to prepare for the second round. "It's perfectly fine to say 'I'm just asking for some insights so I can reflect on for being well prepared for next time'. "And if it's the end of the process and you've still missed out, it's still worth following up. It's a way to say to the employer 'no hard feelings, I'm still interested in your organisation should another opportunity arise'. "You never know, I've certainly gone back and hired people who came second." What are the worst things someone could do in a job interview? "But other things to steer clear of are swearing -- it's just not worth it. Even if they are swearing, it's a risky place to go. It might seem as though you are getting a bit too familiar. "And obviously, expressing personal opinions around religion or politics or those sorts of things. Even if you think it's [a widely held belief], you just don't know. So don't walk into an interview and say, 'how big an idiot is Donald Trump?' Because you could have a Trump supporter sitting right there." "My attitude toward this is this: if you have put your hat into the ring and you are stepping forward for a job interview, you can choose to believe you are great candidate. So often we spend so much time obsessing over all the reasons they might reject us and why we might not get the job, and so little time thinking about why we are right. "Of course you don't want to become arrogant, but you can choose to back yourself and believe you have things to offer. "This then feeds into the question of how do you actually manage your mind? The nerves are emotional feelings coming from you thoughts. We need to understand what's going through our minds so we can understand what's happening to our bodies. "I think, sometimes, it can help to replace our doubts and our nerves with louder thoughts about why we are great, why are confident in our ability to succeed, and to know if we do come across challenges, we have the ability to work through them."